This was a pretty nice week! Highlights range from attending THE BEST bachelorette party for Miss Caitlin to having a couple afternoons with my favorite little neighbors to celebrating our 6th wedding anniversary yesterday. Of course when I say celebrating, I mean that my husband attended to my every need while I laid on the couch with a headache. 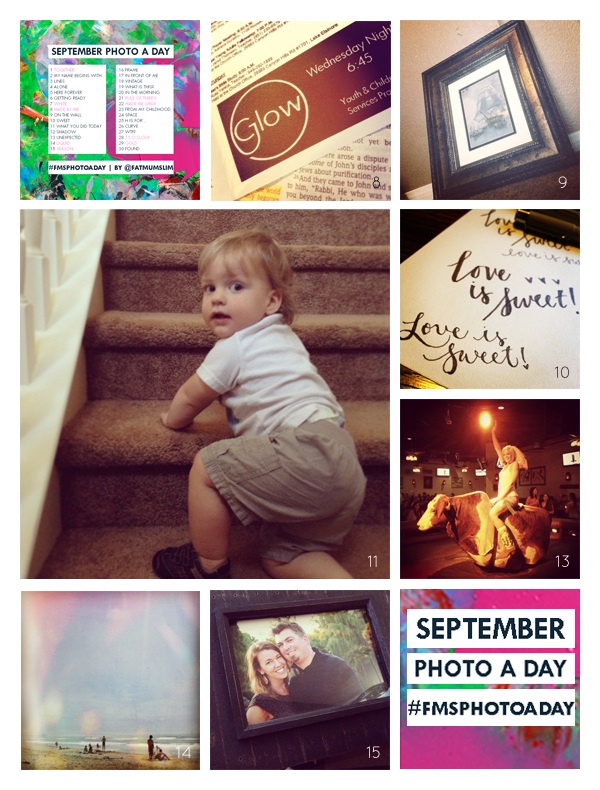 I follow Fat Mum Slim’s blog for the Photo A Day prompts, join us for the month of September!